Today we will talk about an absolutely necessarily accessory for this summer. It’s about beach bags of course. 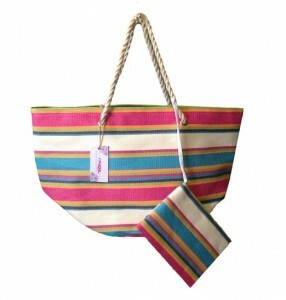 Beach bags are turning to be your best friends during the summer. And that’s because in the summer you go to the beach or to the swimming pool but you have to be trendy even there, right? The summer is a wonderful season and, if you succeed to be creative and match your swimsuit to your beach bag then you will have a perfect look.